Why is it vitally important to make tax considerations a priority when litigating a divorce or negotiating a divorce or separation settlement? There is no single answer to this question. In fact, there are several very important reasons that tax implications of divorce litigation and divorce or separation settlements (and their negotiations) should be considered. For the purposes of this Q&A, we will focus solely on criminal tax consequences that can come out of divorce or separation settlements. Criminal tax implications can affect not only the splitting spouses, but the mediator and attorneys involved in the settlement process, as well. What are some tax traps for the unwary when appearing in court or negotiating a divorce or separation settlement? Although there is an endless amount of individual and business tax exposures that can come out of a divorce or separation, we will point out a few situations that could have incredibly severe civil and potential criminal tax consequences and should be avoided and or mitigated at all costs. It is undeniable that spouses who are going through a divorce may be experiencing some of the most extreme emotions that they have or ever will experience. Divorce cases often involve parties who feel as if they have been wronged or deceived. My divorce tax issue client’s often state that you cannot truly know what it is to hate someone unless you once loved them. When two quarreling estranged spouses find themselves involved in legal proceedings of which they are both parties, accusations can be made that have implications beyond the divorce litigation at hand. During a divorce, State law typically requires the disclosure of detailed financial information, including tax documents from prior years. When this information is disseminated to opposing counsel and the other spouse and their forensic accountant, it is not uncommon for one spouse to make an accusation against the other with regard to civil and or criminal tax noncompliance. Whether there is a claim that a spouse failed to file tax returns, understated income, overstated deductions, held an interest in an undeclared foreign bank account, or one or more of a plethora of other tax accusations, the situation could get even more serious, very quickly. If a judge feels like there may be tax fraud or evasion present, he or she may contact the IRS or the state taxing authorities and suggest that an investigation be opened, slowing down the divorce or separation process and potentially opening a can of proverbial worms. State judges often feel obligated to report suspected tax fraud out of fear that if they turn a blind eye to it that they could be accused of aiding and abetting income tax evasion themselves. Could the accusing spouse be on the hook for tax accusations made, if proven? Although most spouses make accusations like those described above in an attempt to cast a negative light on the other spouse, or to hurt the other spouse out of rage, it is completely possible that the accusing spouse could be jointly and severally liable for the unpaid tax, penalties, fines, and/or interest if the accusations indeed prove out to be true. When a married couple files a tax return, they are both responsible for the tax (or any unpaid tax with respect to that year’s financial activities). Unless the accusing spouse falls into the protection of the innocent spouse relief regulations, which is extremely difficult to achieve in real life, at a minimum, marital assets could be in serious jeopardy if the IRS or state tax reassessment is of a considerable amount. Furthermore, if the tax accusations are criminal in nature, the accusing spouse could find themselves the target of an IRS criminal investigation, as well as the accused spouse. An innocent spouse claim can possibly shield the accusing spouse from criminal liability and result in the IRS only looking to the accused spouses share of the marital estate but the divorce court is not obligated to follow the IRS’s lead as to the division of the marital balance sheet. It is also very difficult to receive child support or Alimony from a spouse that is incarcerated without the ability to generate income. What should a spouse do if they find themselves being accused of a tax crime? If the accusations have merit, the accused spouse should take measures to resolve the divorce outside of court, if possible. As noted above, a judge will likely notify the IRS or state taxing authority if they believe that a tax law has been violated. Furthermore, a spouse should consult with criminal tax defense counsel in determining whether or not to attempt to avoid producing some tax-related documents under possible Fifth Amendment protections under the U.S. Constitution. The downside of invoking Fifth Amendment rights is that such an action will surely cast a cloud of suspicion over the accused spouse which could negatively affect his or her divorce case outcome. Another possible solution if the accusation has merit is to consider making an IRS voluntary disclosure in order to get to the criminal investigation division of the IRS ahead of any referral from the State Divorce Judge in order to possibly head of criminal charges at the pass before they are ever brought by the IRS. Because there is an inherent push/pull between the state’s divorce proceeding and the idea of full disclosure of tax and financial documents and the danger of doing so for tax exposure purposes, an experienced tax attorney should be consulted if there is a potential criminal or civil tax liability complication in a divorce. A tax attorney can engage a forensic accountant to look into the historical activities of the parties. The benefit of utilizing a forensic account through a tax attorney lies with attorney client privilege. Often times, forensic accountants or other financial/accounting professionals are engaged to testify and provide insight in divorce/separation proceedings. If hired independently, they can be compelled by the court to testify or provide work papers on any matter that was looked into. On the other hand, a forensic accountant that works under a tax attorney can be utilized in such a manner as to be protected under the umbrella of attorney-client privilege. Thus, a tax attorney/forensic account team could determine the exact extent of any potential criminal/civil tax exposure and discuss it with opposing counsel before deciding to air out any incriminating tax or financial findings in open court. Can settlement mediators or divorce attorneys find themselves implicated in a tax conspiracy? Alimony and child support are common elements of a divorce or separation settlement. Alimony represents support paid by one spouse to another and child support represents support paid by one spouse to another for the care and benefit of a child or children. As a general rule, alimony is deductible by the payor and included in the payee’s gross income. Some taxpayers aim to deduct the entire amount of both alimony and child support without any inclusion by the recipient spouse. We have seen this fraudulently attempted where a payor spouse runs the expenses of the other spouse or child through their business and then fraudulently writes these personal expenses off as business expense. A taxpayer who engages in such behavior and is caught could spend a significant amount of time in prison and face financially crushing civil ramifications including a potential 75% civil fraud penalty. When family law attorneys and mediators are not knowledgeable or lack ethics towards tax laws and the associated potential criminal tax matters, they can inadvertently open themselves and their clients to potential civil and criminal tax liability. If a divorce attorney or mediator knows that an arrangement like the one described above violates tax law but counsel their clients to accept or sign off on the agreements as-written, they may be found guilty of conspiracy to commit tax fraud or tax evasion along with their client. How can divorcing or separating parties (and their attorneys) protect themselves from charges of tax evasion, tax fraud, or other tax crimes? At the end of the day, an attorney that specializes in divorce law will likely know their area of practice extremely well. Divorcing spouses wouldn’t seek the assistance of a private injury attorney for a divorce because the skill set of a family law practitioner is so much more tailored to the need of the spouses. Following the same logic, when a potential tax issue presents itself in a divorce or separation case, an experienced tax attorney will be in the absolute best position to provide meaningful counsel to the parties involved. Moreover, most divorce attorneys will not take on the legal responsibility for tax issues out of fear of malpractice charges as tax law is an area of intense specialization. Whether the divorcing spouses reach out to a tax attorney directly or via their family law attorneys that seek out the specialized assistance, engaging an experienced tax attorney will help ensure that the divorce proceedings and its settlements do not pose a future risk to the spouses, or to the family law attorney or forensic accountants assisting them. Contact an experienced Tax Attorney, today. 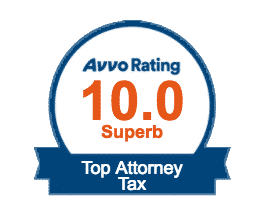 The tax and accounting professionals at the Tax Law Offices of David W. Klasing have extensive experience in representing taxpayers in various civil and criminal divorce tax situations. Going through a divorce can be very difficult, failing to address important tax issues can multiply the anger and frustration. An experienced tax attorney should work closely with a spouse’s family law attorney to ensure that all tax issues are addressed and any divorce or separation agreement does not create any negative tax exposures for either party. Our team of professionals are ready to zealously advocate for your best interest during this tough time. Contact the Tax Law Offices of David W. Klasing today for a reduced-rate consultation. «« Is a Full Disclosure of Assets Required During a Divorce Proceeding?